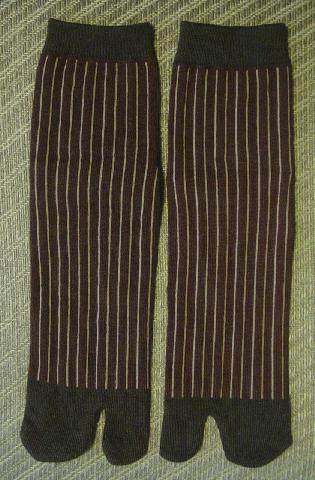 They're in reddish-brown wide vertical stripes alternating with thin light cocoa-sand vertical lines. The top 3/4" wide opening and toe areas are in a dark brown espresso. The large back area is in a reddish-brown. 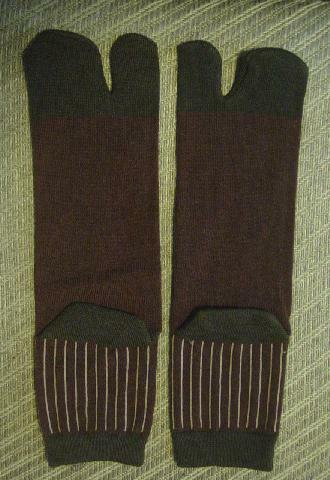 The top back heel seam to the top of the foot opening is approximately 3 1/2".